One of our Avenues Mother’s shared a compelling story a few weeks back about the impact of having a child with Autism. Back in the 70s, there were no resources or effective treatments to help a family cope with this lifelong journey. The doctor, back then, told these parents to put him in an institution because he would never talk and never develop into a productive human being and the institution was the best their son would see for the rest of his life. This family was adamant about not taking this terrible advice and did all they could to help their son. They made groundbreaking choices and opened new doors for him and others that were never opened before. Today, 40 years later, this family is proud to see their son thriving and living his life like everyone else. Since then, medicines and treatments have come a long way but the battle continues for people with I/DD (intellectual and developmental disabilities). 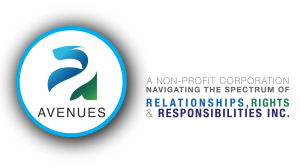 Avenues SLS, a 501 (c) 3 non-profit, has been at the forefront of supporting adults with I/DD to grow, learn and socialize just like anyone else. You might know a child or an adult with a developmental disability; from Intellectual Disability to Autism, Cerebral Palsy or Down Syndrome. What you might not know is the extensive effort and time needed for resources (funding or in-kind) Avenues SLS puts into the development and well being for these individuals. Avenues: Navigating the Spectrum of Relationships, Rights and Responsibilities, Inc. DBA: Avenues SLS is a nationally recognized agency supporting adults with I/DD to live in their own homes, have jobs and valued roles, and their reputation is well known within the I/DD community. Operating in the Santa Clarita and San Fernando Valley’s since 1997, founders, Scott and Lori Shepard created Avenues SLS to support and coach adults with I/DD to become active members of their communities. Behind Avenues’ mission are 9 board members and 80 dedicated staff to ensure services are provided in an ethical and efficient manner. Quite often we are blindsided by misconceptions about people with intellectual or developmental disabilities. For those that have not been directly affected personally by a family member or friend with a disability, it is understandable that the public might be uncomfortable or just not know how to react to someone that may communicate, behave, or look a bit different. 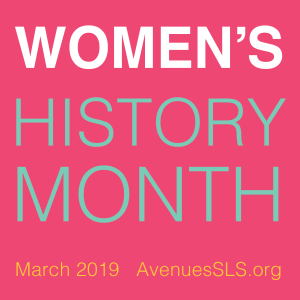 Avenues is working to change that stigma and show that we come in all types and personalities regardless of ability, looks, or sometimes how we act in public. Avenues strives to change these misperceptions by advocating for inclusive services and supports in school, work, home, and community life. We invite you to join us at any of our future events and fundraisers and see for yourself. While doing so, you will be supporting a very good cause, and, who knows… you may choose to become one of our agency sponsors, board member or our next ambassador for change!